Let us teach you what we know about organization. Education is the foundation to success, which is why we take educational storage issues pretty seriously. 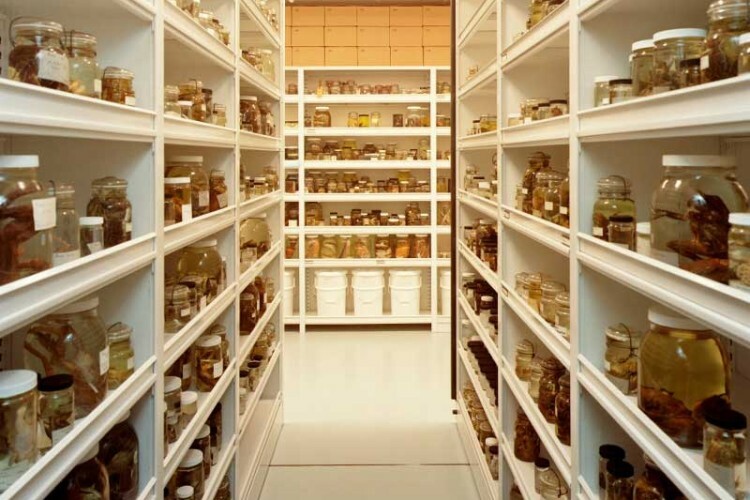 From administrative areas to libraries, special collections, athletics, science storage, and labs, we have the storage and casework solutions for your university’s needs and budget. 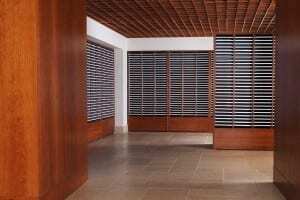 Our storage experts carefully create solutions that adapt with your evolving needs. Nothing, not misplaced textbooks or lost sheet music, should get in the way of your staff and student success. Let us teach you what we know about organization and boost campus productivity. For more on our higher education systems, give us a call at 1-800-696-3453. There’s no storage project too big, too small, or too complicated — we can help! Our mail center components offer a flexible, secure, and auditable method for package and mail distribution to help increase your mail center’s efficiency and productivity. Completely customizable, our systems reconfigure easily and are offered in a variety of sizes to best suit your needs. 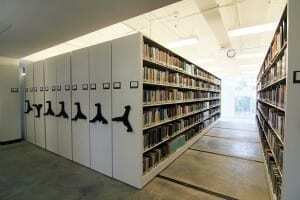 Since our beginning decades ago, library shelving and storage has been our focus. Our highly-trained team expertly intertwines traditional static shelving, mobilized storage, high-density shelving, and more to create a unique storage system for your library. With years of innovative equipment storage experience under our belts, our experts can create unique, adaptable solutions that satisfy your needs. 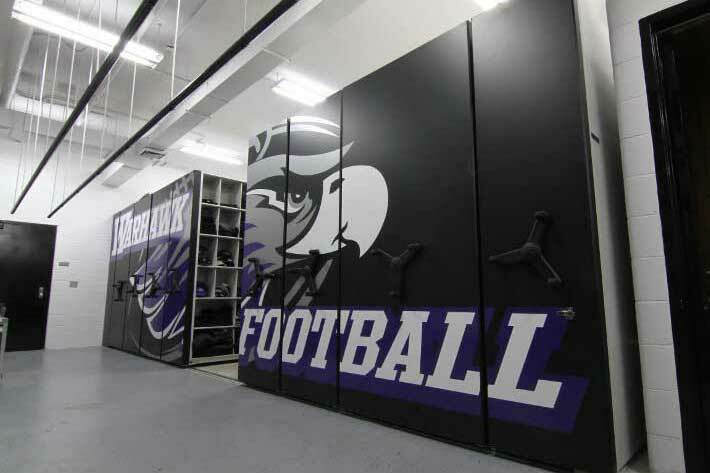 From uniform storage, folded or hanging, to helmet storage — our team will develop the best system for yours. 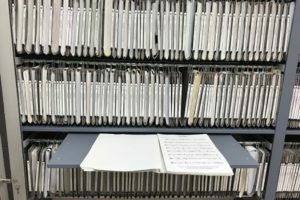 Whether you’re a high school in need of sheet music storage overhaul, or a university updating your music library, we have the solutions you need. 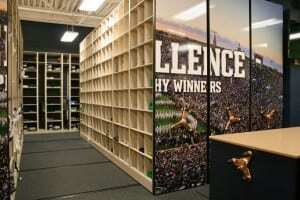 We specialize in music storage systems that maximize space and preserve your music library in a clean, tidy way. Since our founding in 1968, we have installed millions of feet of shelving into schools. Our designs and years of experience, in combination with Spacesaver’s innovative shelving options, can create a unique storage system made specifically with your school’s needs in mind. Unlike traditional static storage, mobilized storage systems require one moving aisle that opens and closes where and when needed, to provide quicker, safer retrieval of materials. Install high-density mobile shelving systems and enjoy up to 50% more space without breaking new ground. Completely customizable, this locker system is excellent for environments where security, privacy, and traceability are key. Suitable for every last-mile asset delivery situation imaginable, this innovative parcel logistics solution is ideal for schools and campuses. Need inspiration? Download a lookbook with the latest trends in education storage and space design.